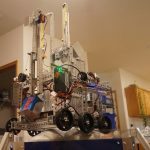 We are team 12808 RevAmped Robotics, a second year FIRST Tech Challenge team from Portland, OR. Last year, all of us (except our captain) were rookies, and we were able to learn so much through hands on experiences throughout the season. 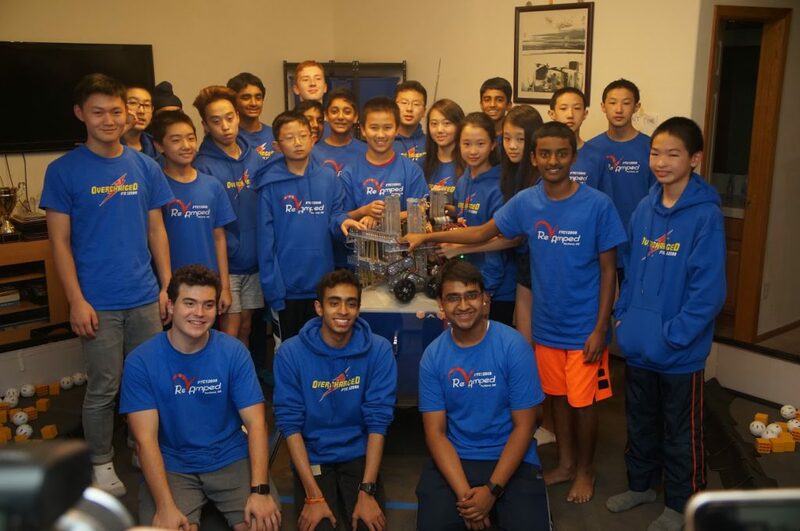 In fact, in our rookie year, we qualified for the Houston World Championships! At Champs, we were Jemison Division Semifinalists, Control Award Finalists, and our video nomination won our coach, Zhunquin Wang, the Championship Compass Award! Last season was a very exciting and inspiring journey, and we hope to use everything we learned to make our team and community even better! 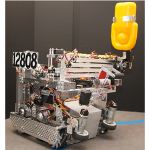 Team 12808 RevAmped Robotics and Hillsboro High School would like to welcome you to the Inter-League Tournament! We are hosting a league! Updates can be found here. Below is some key information – be sure to click on the link for the full range of info! Congratulations to Piece of Pi for winning all 10 matches so far! Meet 3 will be the final meet for our league after which all teams will progress to the League Tournament (FIRST Tech Challenge League Tournament-Hillsboro-#4-LgeQT-Jan26) to be held at Hillsboro High on Jan 26th. Please watch for future updates from Cathy. Please don’t forget to bring a printed team roster and completed self-inspection. In addition, please make sure your team is nationally registered and that you have paid your league fees! More info at the link above. This Season’s game involves collecting samples from a “Crater” and scoring them into the “Lander”. For more information on the game, be sure to check out Game Manual Part 1 and Part 2! …and we did it! Check out our reveal here!